Romania is a very privileged country regarding its climate and geography. We have all kinds of different geographical forms, a unique delta, amazing landscapes, authentic nature still untouched by humans, four seasons with cold snowy winters and hot summers. In Bucharest, you will meet people from all the country regions, except from Bucharest itself 🙂 . The most common name is probably Alexandra/ Alexandru. Among foreigners, the most popular word about Romania is “Dracula” or “vampire”. The second most popular word is “Transylvania”, the place where Dracula comes from. D`oh! Generally speaking, Romanians are somewhat sad. They love to complain. About the low temperatures in winter, about the too high temperatures during summer, about politics, paperwork, everything. At the same time, they like to party. Bucharest is well-known for its nightlife. Romanians love cars, too. A lot. Therefore you might often see a “Gigi” who owns a very expensive car but still lives in a rented apartment. (*Gigi comes from Gigel or Gheorghe and it was once a very common name among the peasantry. Nowadays it is used ironically to describe a person who appreciates affluence and likes to show its expensive possessions). The dream of all Romanians is to build a house for themselves. Many young people dream about living anywhere else but in Romania. 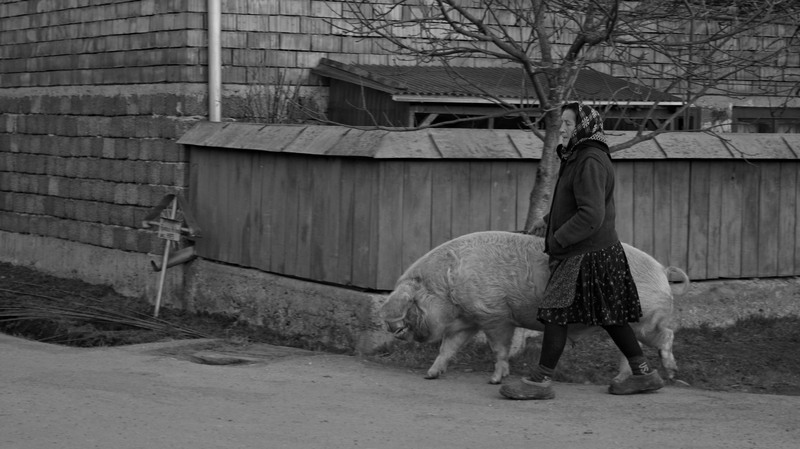 Romanians make their own way. Nothing more to say about that. Romanian people use to make fun of each other, depending on the region where they come from. There are jokes with and about all types of Romanians. Foreigners perceive Romanian girls as beautiful, but they also think women have an attitude. Romanians are thrifty. They really are. The medical system delivers quality services and, despite the lack of advanced and edgy medical equipment, Romanian doctors are recognized as being skilled and are appreciated. Romanian transportation is one of the cheapest but also one of the worst. Romanian authorities’ main focus is on … kerbs. In home, people take off their shoes. Whenever you go to the country side, you will be served a “tiny glass” of some strong drink. Also, whenever they have guests, the hosts are setting up the table for them. If you don`t finish whatever you have on the plate, it is a sign that you didn`t like the food. If somehow you manage to finish everything, it is a sign that you liked the food, therefore you will receive another portion. So, choose wisely your strategy ! Since we`re talking about food, it`s good to know that meat lovers will be satisfied: the Romanian food is a “culinary bliss”: sarmale, sausages, mici (meat balls), piftie (pig`s trotters) are always on the menu. As you may guess, yes, Romanians love meat! At the countryside, bread is often replaced by mămăligă (polenta,corn bread). You may think that this is a unique dish but something similar can also be found in Tanzania – ugali. And you can also find it in France or Italy in certain restaurants. The Romanian version of soup is called ciorbă. One of the most well-known alcoholic drinks in Romania is țuică, called “pălincă” in Transylvania. It’s a sort of distilled plum brandy. Other popular drinks may be afinată, vișinată, căpșunată. Basically all these are some kind of brandy made from different kinds of fruits: blueberries, sour cherries, strawberries. The Romanian name comes from the fruit name and the “-ată” ending. 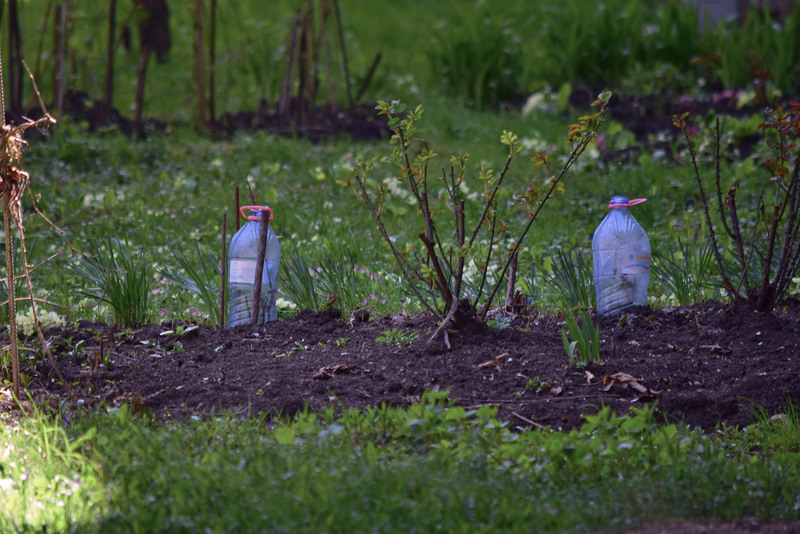 Sometimes, you might think that Romanian people are growing empty bottles in their yards. But no, it`s just the cheapest protection they could find for their roses. Romania is a beautiful country with friendly and beautiful people. There are some common traits that Romanian people share, and so does the Romanian women. Different myths circulate around forRomanian women that are not true, https://yourdatingteacher.wordpress.com/2016/04/28/surpassing-facts-of-romanian-women/, the points given here are explaining the true character of Romanian women.